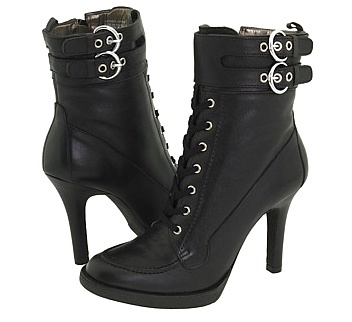 Lace up boots are chic, sleek and have the distinctive style of being both dressy & casual. 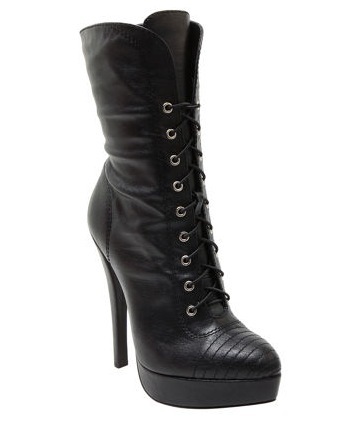 Here Miranda Kerr is wearing Burberry Prorsum leather ankle boots that are sold out… not surprised a bit. See how lovely they look over leggings. 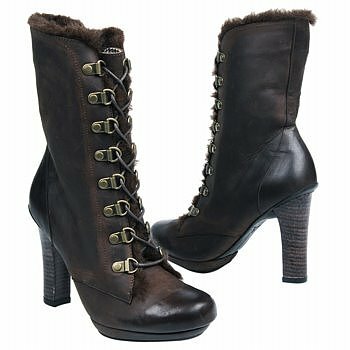 Here are some playful, stylish lace up boots to help you make a hot fashion statement this season! 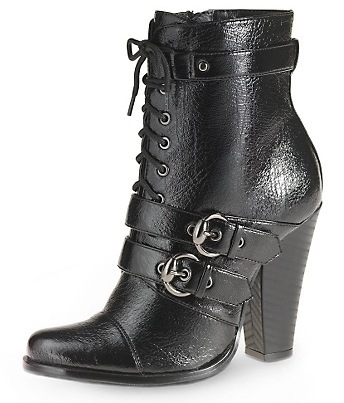 Wear with jeans, leggings, or cozy tights. All boots are under $200.